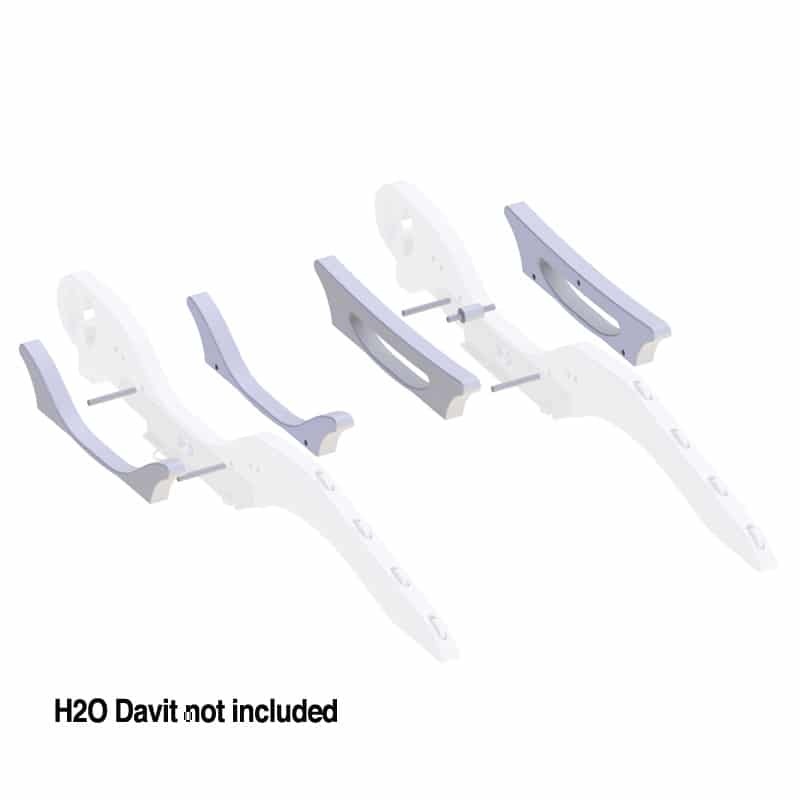 H2O Soft Keel Supports are used to convert the H2O Davit from cradling hard bottom tenders to soft bottom tenders. Bow and Stern keel supports for the H2O Davit and soft bottom tenders. Pins include to connect each part thru existing holes. This item is for use with Hurley H2O Davits & Chocks. Sold as a set. Davit not included!